Rachel Brandreth (neé Wood) has been handcrafting jewellery for nearly 20 years. Her work is mainly for bridal and evening wear, but she is happy to undertake work for dance wear and for everyday jewellery / special gifts. As a respected and established local designer, Rachel’s work has previously been featured in catwalk shows, editorials and also the cover of prestigious regional Bridal publications. To broaden her skill base Rachel undertook additional training as a photographic technician, whilst at college, where she specialised in 3D Design. Following her time working for a bridal wear company, Rachel became a freelance designer in 2001. After the final exhibition of her coursework with the other students, she devoted herself to her passions; handcrafting tiaras and headdresses (alongside a local bridal wear designer), continuing with work in photo imaging / wedding album design and dancing in her spare time. Rachel qualified as a professional Ballroom & Latin-American dancer in 2008, after several years as a regional and national competitor. In 2010 she married her dance partner Steven Brandreth, and their business now provides coaching, classes and wedding dance lessons in Cheshire. Rachel became a mother in 2013, upon the arrival of their daughter Erin, but still supports her husband Steven with the day to day running of dancebespoke. With her wealth of wedding knowledge and experience, you will find Rachel as part of the show round team at local wedding venue Sandhole Oak Barn (where she got married and also previously taught wedding dance lessons). 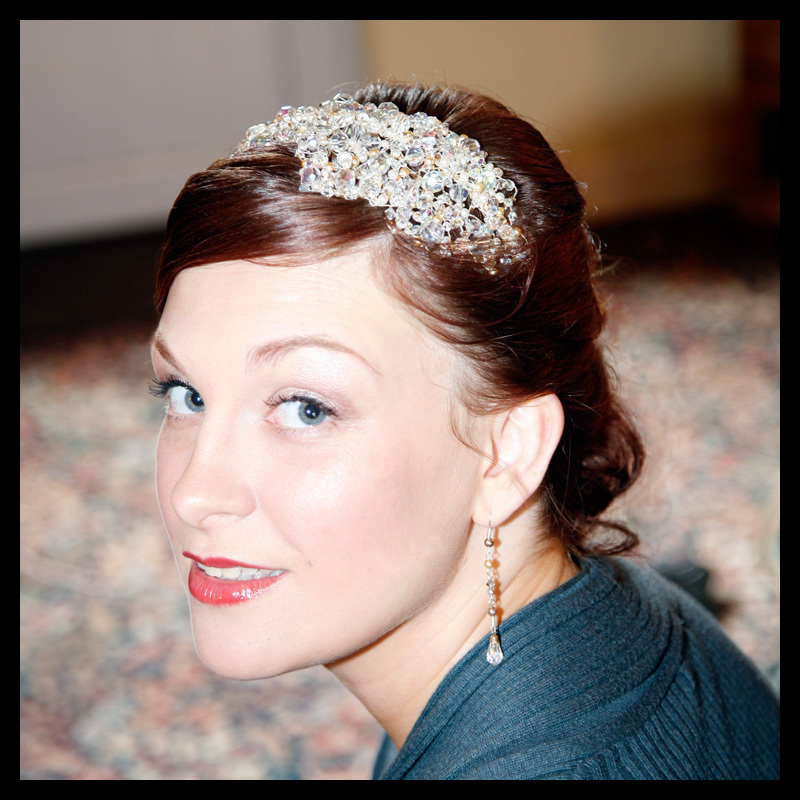 Following an extended period of maternity leave from her own business, Rachel has re-launched Rachel Wood Designs, accepting bespoke orders for beautifully personalised jewellery and unique commissions for bridal accessories.